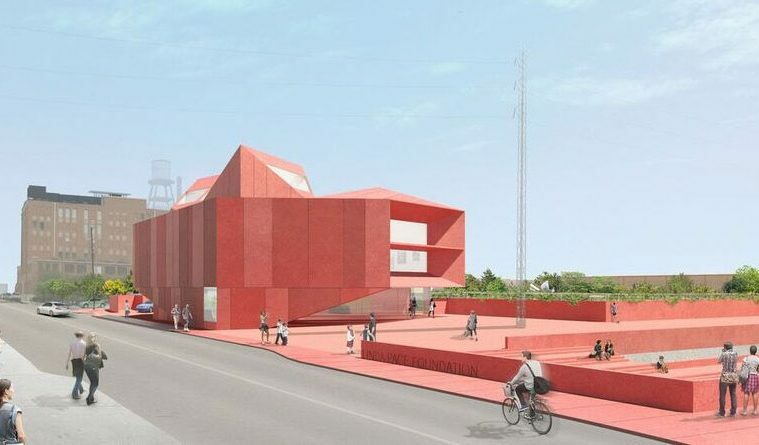 Rendering of David Adjaye’s Ruby City for the Linda Pace Foundation. Tobin Center for the Performing Arts, View from the Rear. Have you ever taken an art trip to San Antonio? If you have, you probably visited First Friday or Second Saturday, some of the numerous artist-run spaces, or one of the main organizations such as the San Antonio Museum of Art, Artpace, the Linda Pace Foundation, the Witte Museum, the McNay Art Museum, or Blue Star Contemporary Art Museum. Perhaps you were here for Contemporary Art Month, Luminaria or Fotoseptiembre. 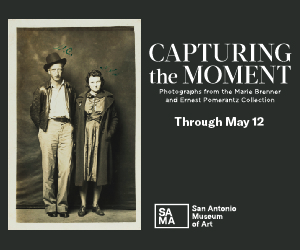 If you came back today, these activities would likely still be part of your visit and it might seem like the art scene in San Antonio has not changed dramatically. But if you look closely, you will see a transformation that is boiling underneath the surface preparing the art scene and the city for what is to come. The underlying transformation should come as no surprise. San Antonio is currently the seventh largest city in the United States; #9 on Forbes list of America’s Fastest Growing Cities, #1 in growing Millennial population, and #10 on the Milken Institute’s annual list of the best-performing cities, a ranking that measures metropolitan areas based on their ability to create and sustain jobs. In the past few years, San Antonio has seen an increase in companies relocating offices to the city, an incoming population of professionals seeking a better quality of life, and national investors who see opportunities everywhere. To achieve growth, city officials have been working hard for years on making San Antonio a more attractive place to live and work. One big component of this effort is the SA2020 initiative, a series of goals set by the community due to be complete by 2020. Having the city and its people aligned under the SA2020 goals has produced a positive energy and excellent results in 11 key areas, including the arts. The numbers are matching up, and the arts and culture reports are starting to show a rise in economic impact, which is expected to continue growing exponentially. “We are on track with the SA2020 arts and cultural goals but we still have five more years to go with lots going on. If the creative economic impact in San Antonio is any indication, we are in an upward momentum. Creative employment grew 6.05% from 2012 to 2014 (22,000) and the economic impact increased 12% during the same period ($4.4 billion),” said Felix Padrón, Executive Director at the City of San Antonio Department of Culture and Creative Development. The city is not alone in working hard to achieve these goals. Arts and culture organizations and artists have played a key role in the transformation. Lately, many of their longstanding visions are beginning to materialize. Their hard work is paying off and several programming, funding and operational achievements are setting the stage for the next step in our development. 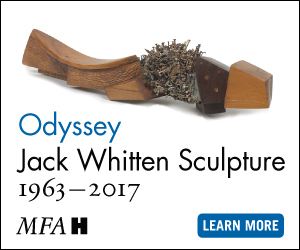 Within the past two years, the Tobin Center for the Performing Arts, the Briscoe Western Art Museum and the DoSeum (a museum for kids) opened their doors; the Southwest School of Art launched the first BFA program to be offered by a private art institution in Texas. 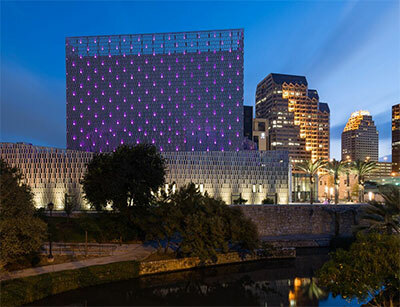 The San Antonio Museum of Art received a land donation to expand its grounds; the Linda Pace Foundation is planning the construction of Ruby City, a new contemporary art museum designed by David Adjaye, Blue Star Contemporary Art Museum started plans to renovate, and the development of the Zona Cultural District and San Pedro Creek is underway. 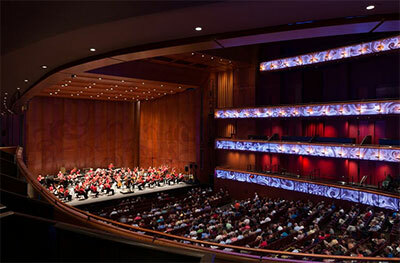 HEB Performance Hall at Tobin Center for the Performing Arts. The growing population is expected to make the art scene more vibrant as a potential trigger to art attendance and participation. “With the population boom, I’m expecting to see more attendance and more support for our programming. I know that creative and tech industries are becoming more prominent in San Antonio and see the arts as a key factor in attracting top talent. I’ve talked to more corporations and collaborators outside of the arts about how to integrate artists and contemporary art in their settings,” said Heathcott. Haydeé Muñoz De la Rocha is a freelance arts writer based in San Antonio, Texas.